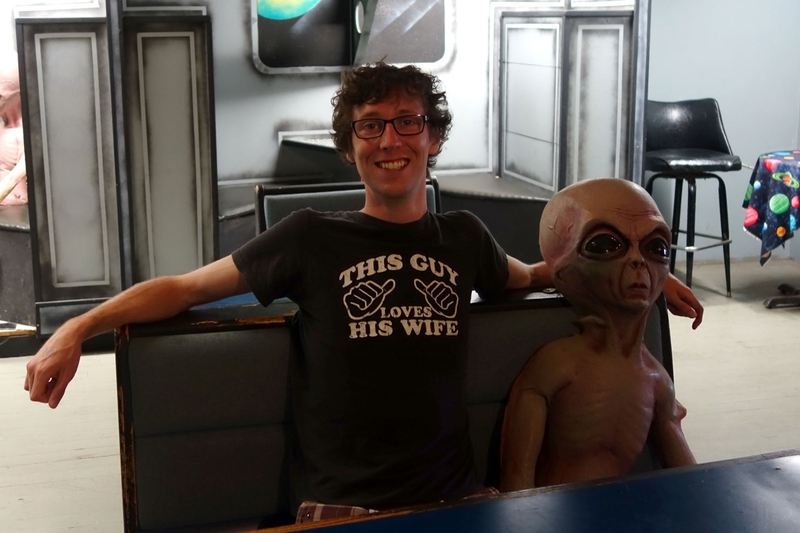 Given the number of blank stares I've received when I mentioned our plans to visit Roswell, I'm unsure whether my pop culture induced view of the town is representative of the common one. 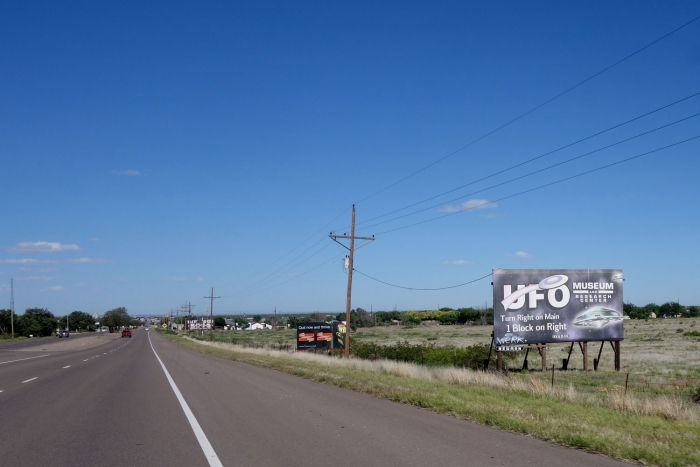 To me the name is synonymous with alien conspiracies, government coverups and UFO 'sightings' and I was excited to arrive in a town brimming with alien enthusiasts and storefronts covered in alien puns. 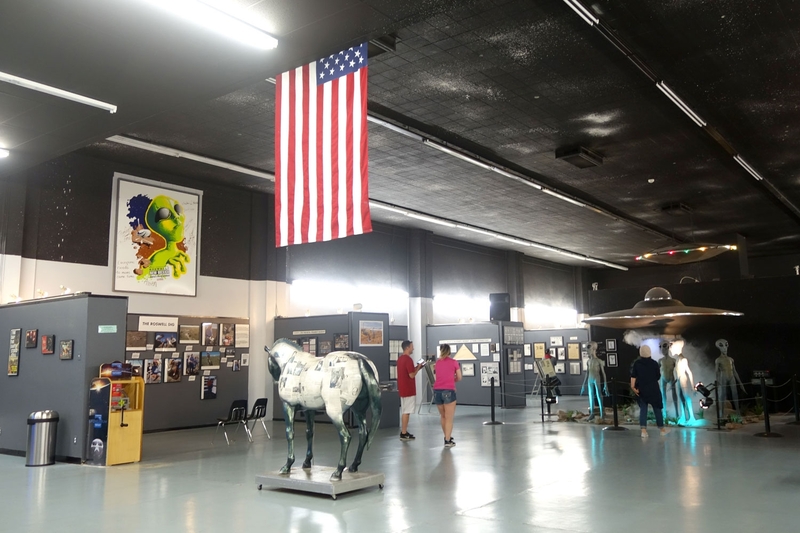 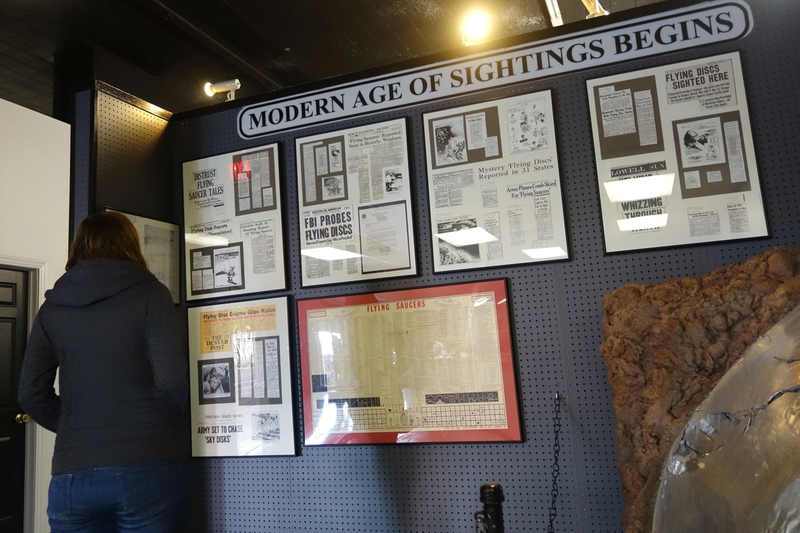 In case you are one of those people giving me a blank stare right now, Roswell was the site of the crash of an unidentified object which some locals discovered before the military came in and closed off the site and got all mysterious. The local area is used by the military for testing missiles and other secret projects so the natural conclusion from this shady activity was that this was a crashed alien spaceship. 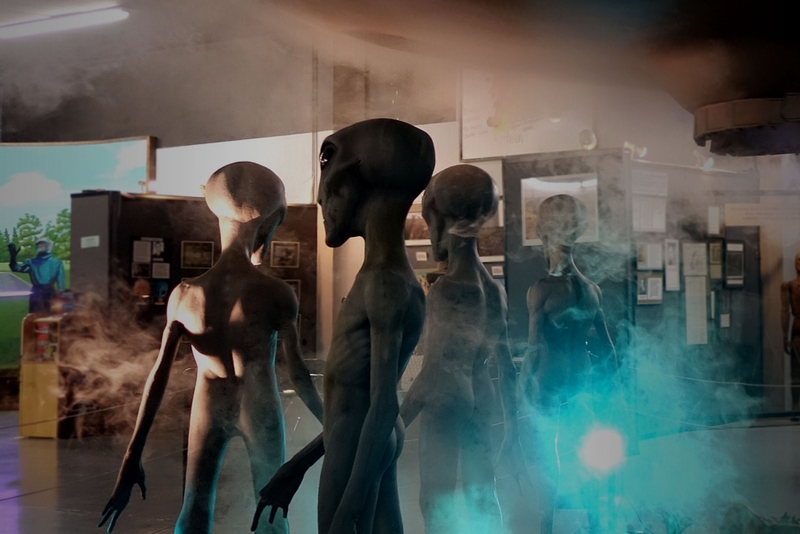 Some other stories of witnesses being bullied to retract or change their statements and rumours of strange looking bodies being removed from the site stoked the embers of the alien theory turning it into a full blown government conspiracy. My optimistic ideal of the town was somewhat dampened down in reality; Roswell feels very much like a normal 'drive through town' with the exception of a few alien images scattered around. 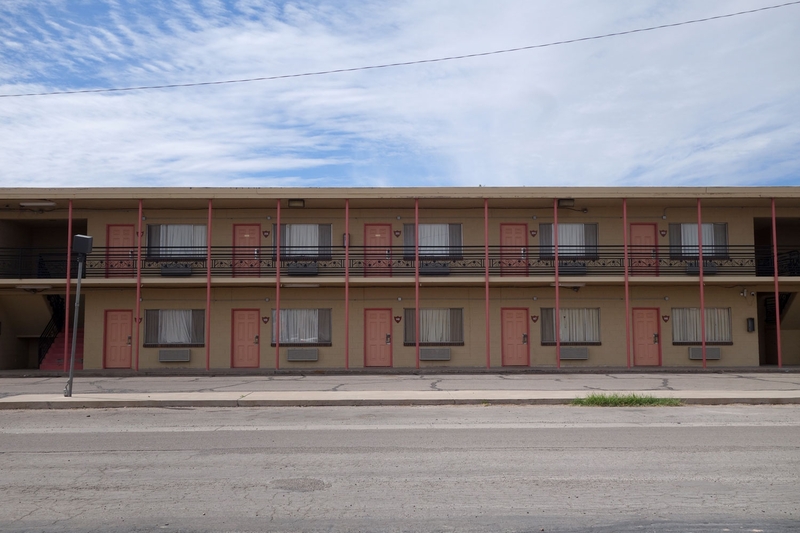 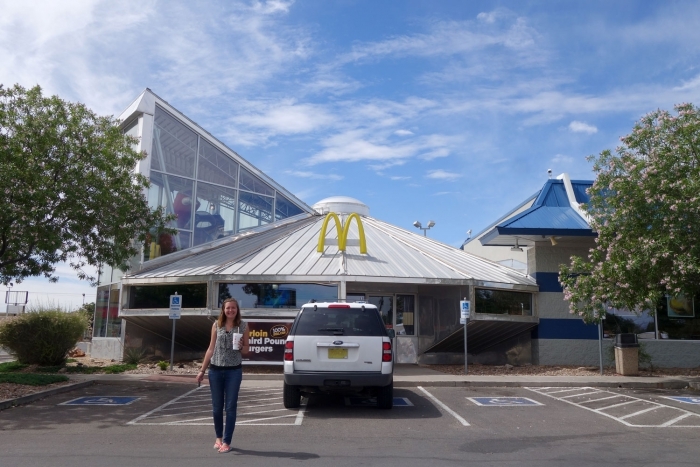 Not a single alien themed motel or restaurant (with the exception of one of the McDonalds being made to look like a UFO which I guess was cool) - I was a little disappointed. 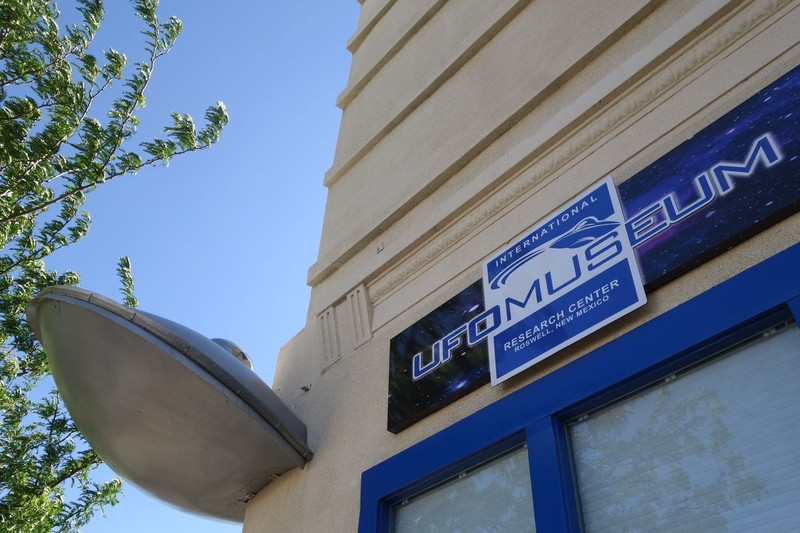 One place that seems to be still doing well out of the old crash story is the UFO Museum and Research Centre; I was talking to the woman charging us $5 each to get in, who said they get about 600 people through per day. The centre is an interesting place and definitely worth checking out - it probably is the most definitive collection of information on the crash and surrounding conspiracy. 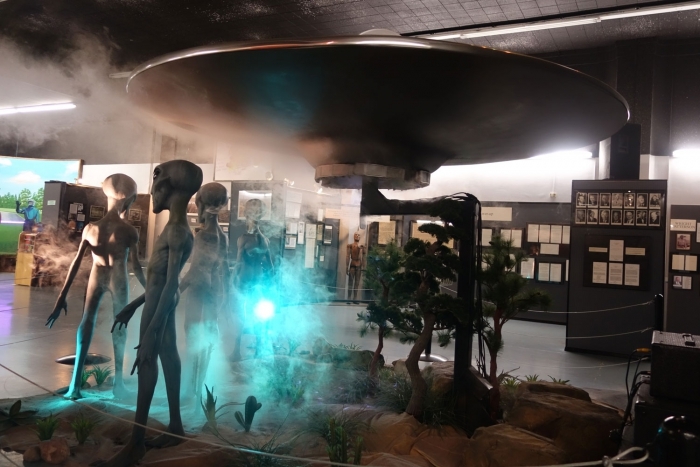 There aren't very many artefacts (surprisingly...) but I enjoyed theorising what would have caused some of the grainy UFO images featured on the walls. 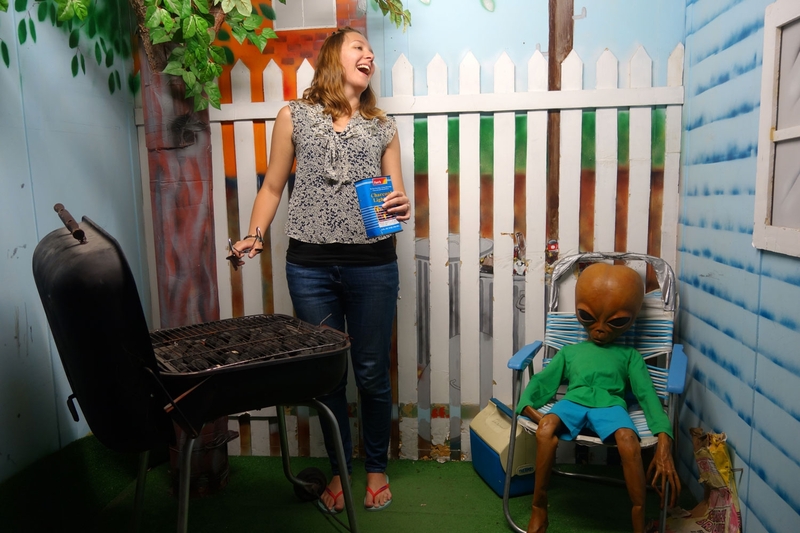 To make sure people take the exhibit seriously it also features life size alien models and sound effects which kept us entertained (although the screams of some children would indicate they weren't as amused!). 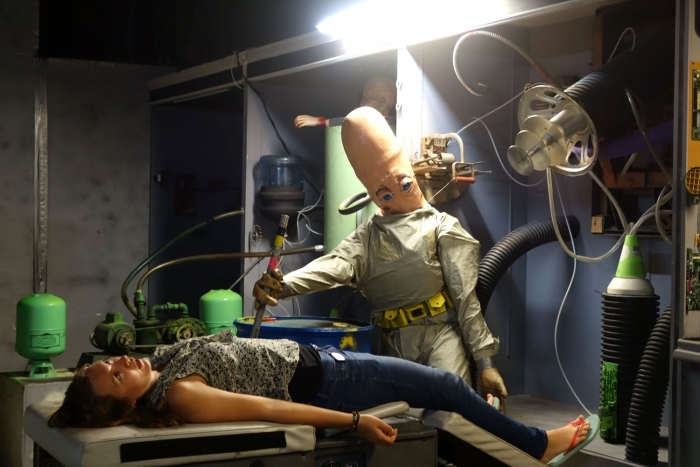 The other alien venue that we visited was a bit more embracing of the fun side. 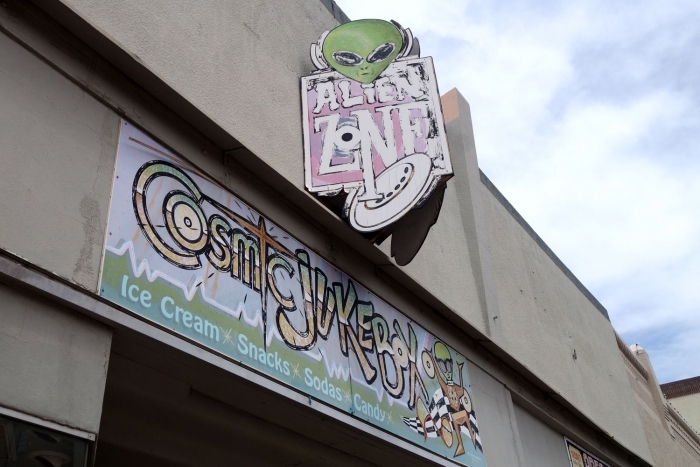 Just up the street is Alien Zone - a funky little shop with plenty of alien themed tshirts and souvenirs if you are looking for a gift or two. 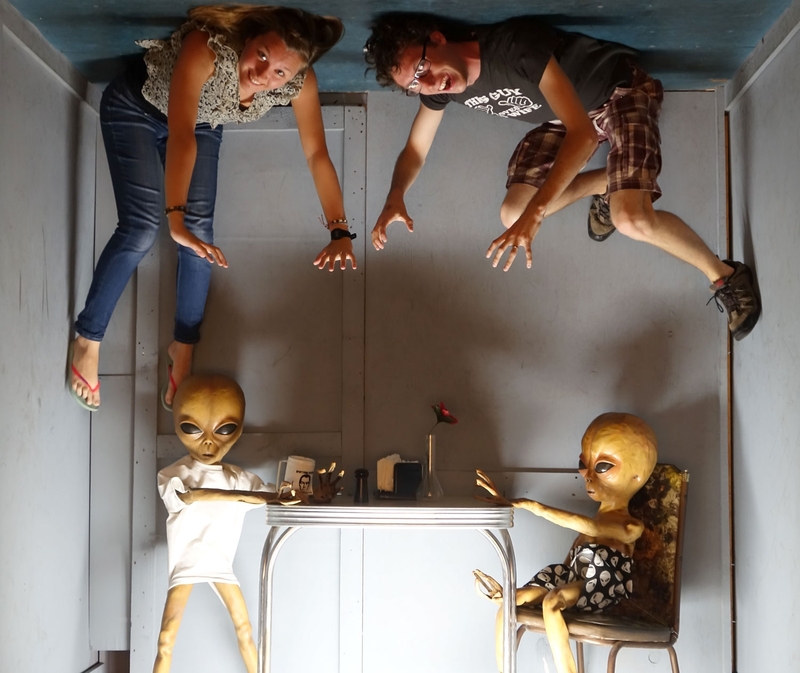 The reason we enjoyed it though is that at the back they have the "Area 51" section where for $3 each you can run around a bunch of scenes and take some photos with aliens. The models are a bit old and battered but it is still some pretty cheap fun and gets you some photos to keep family members amused! 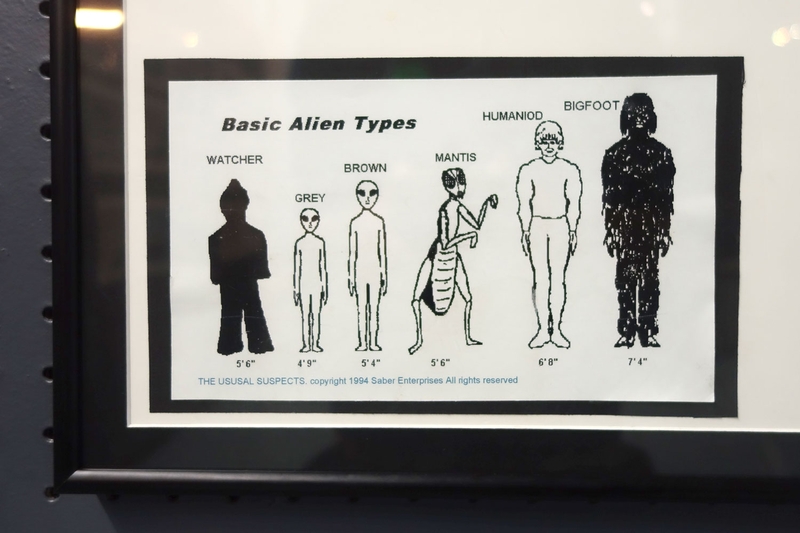 We left Roswell a little sad that there wasn't a few more alien themed places; For me, it felt like there was still money in embracing the alien tourism, but maybe that well has started to dry up. Nonetheless a great, fun little stop for a few hours or a night if you are travelling through!